Heubach offers an array of custom foam products and foam fabrication services. We use state of the art foam fabrication equipment to meet your requirements. Our equipment makes it possible for us to engineer specialty foams, natural fibers and plastics into a virtually endless amount of custom foam parts, foam packaging products and assembled custom foam products. 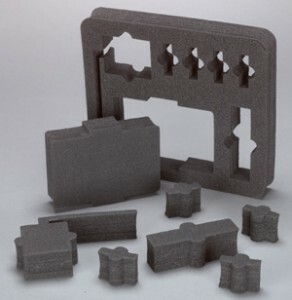 Using our advanced foam processing technology, we can fabricate different types and styles of foam including: reticulated polyurethane foam, open-cell foam and closed-cell foam. Though our products are often used as foam packaging solutions, we are one of the area’s leading foam converters and fabricators of polyethylene, polyester and polyether urethane foams for use in all industries. 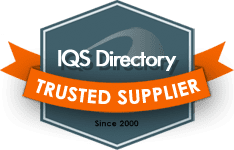 Some of our products include foam sheets, foam strips, gaskets, foam case inserts, end caps, as well as foam displays, presentation units and foam expansion joint fillers. All of our in-house foam fabrication is done in our 60,000 sq ft facility. Our capabilities include 3-D CNC Routing, high-pressure water jet cutting, die cutting (automatic), foam laminations, heat sealing/bonding, heat foam thermoforming, foam slitting and assembling. Heubach’s foam fabricators will help you design the right foam solution to enhance product purpose, improving the end user experience. We also offer flame resistant foam products, static dispelling foam, and other conductive and UL accepted foams.